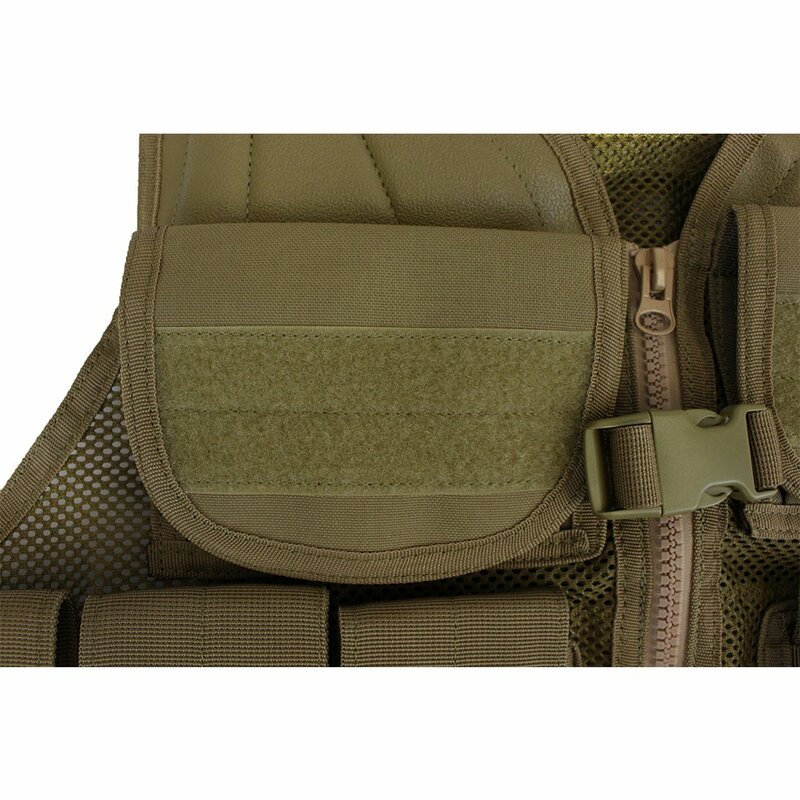 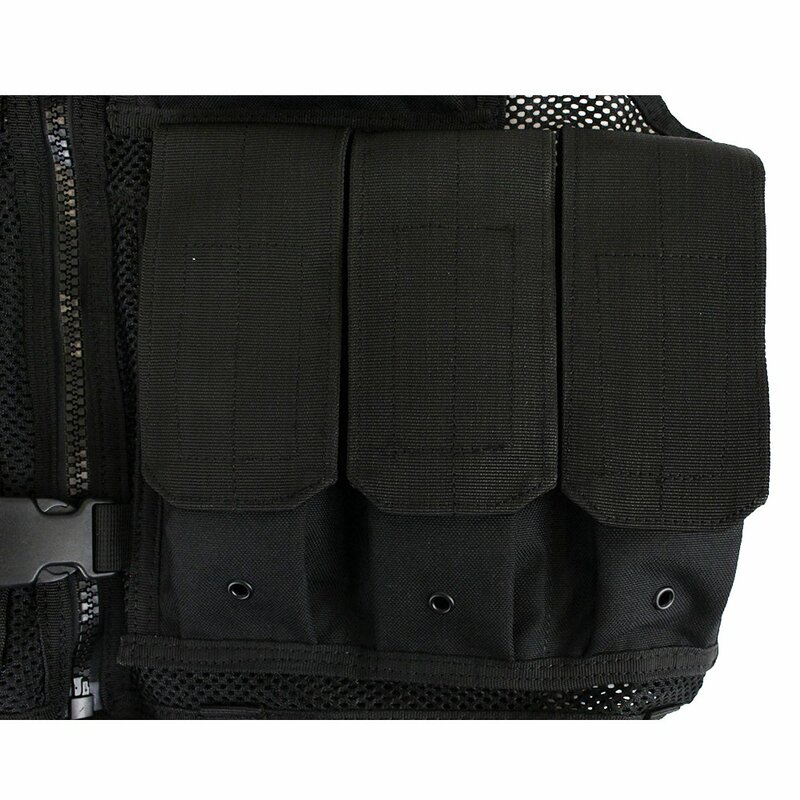 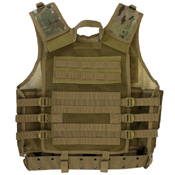 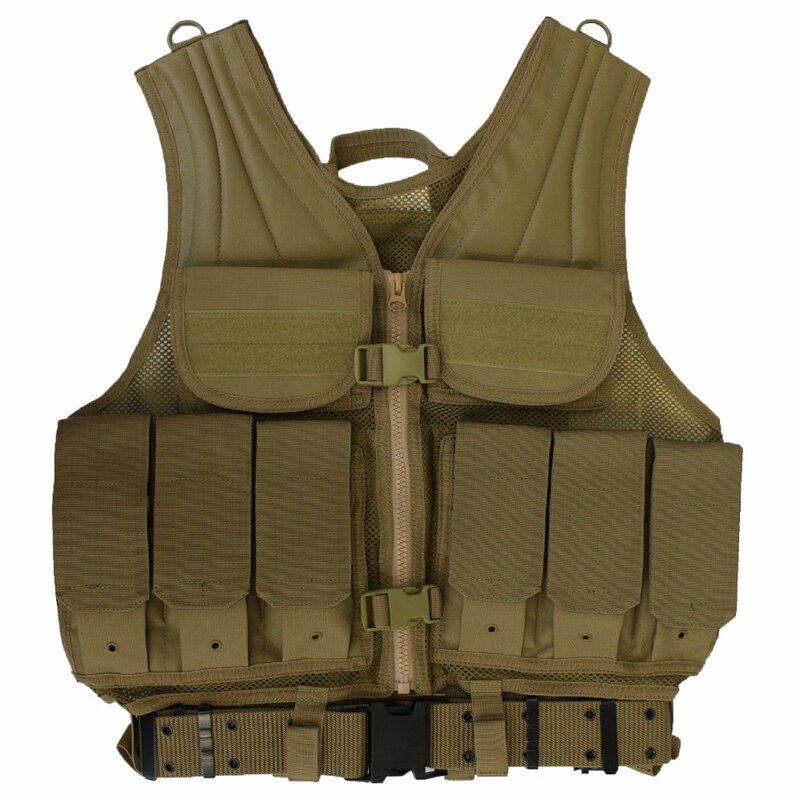 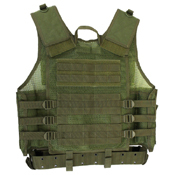 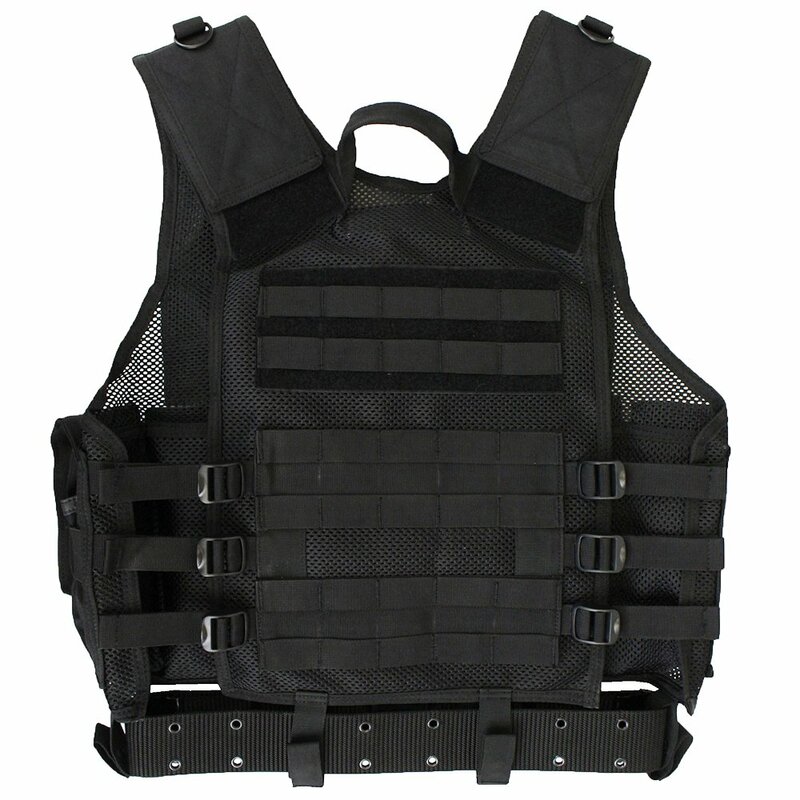 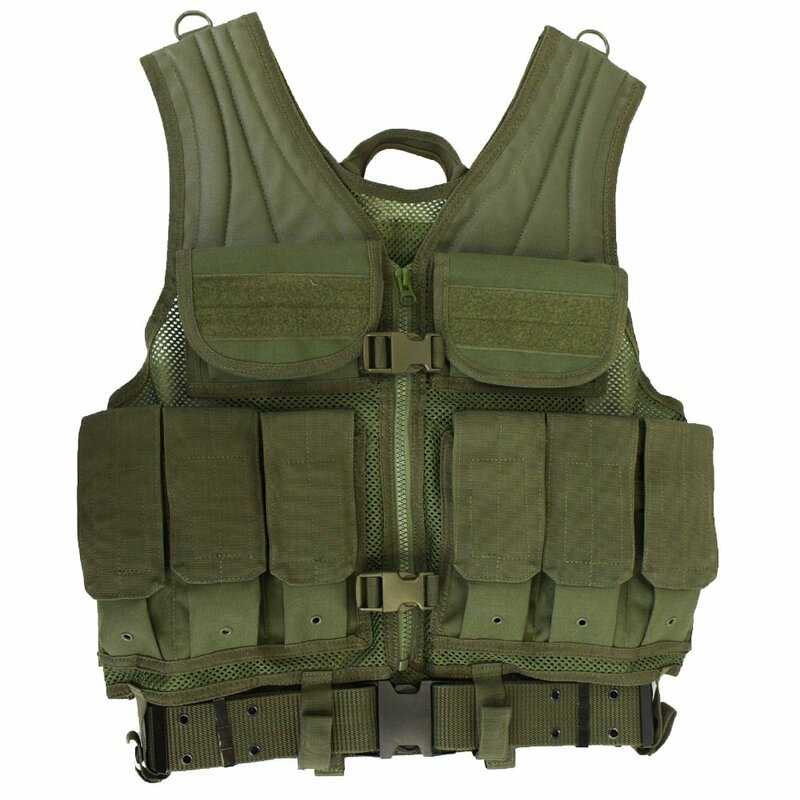 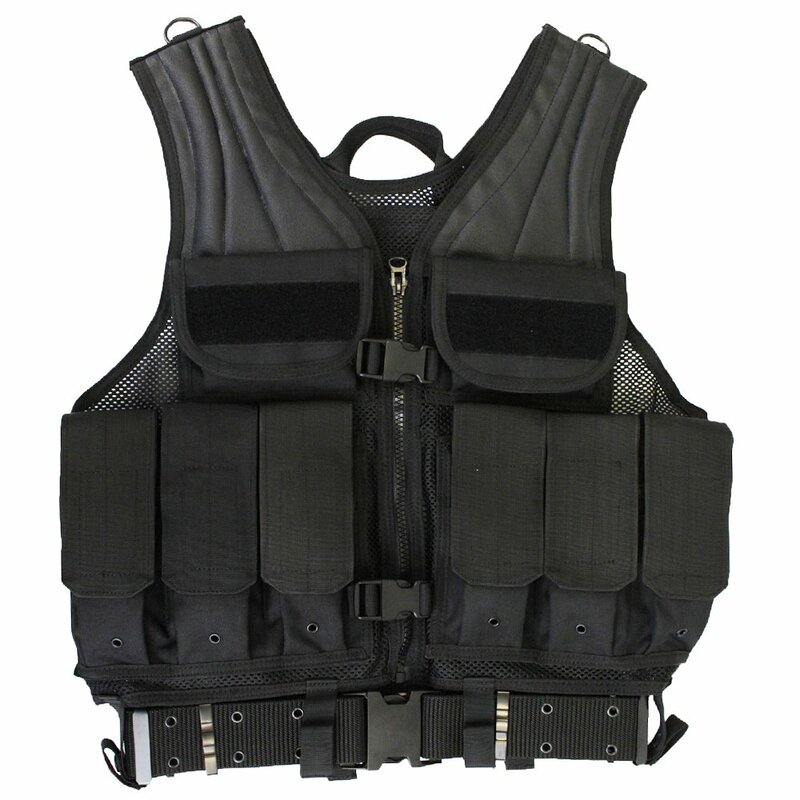 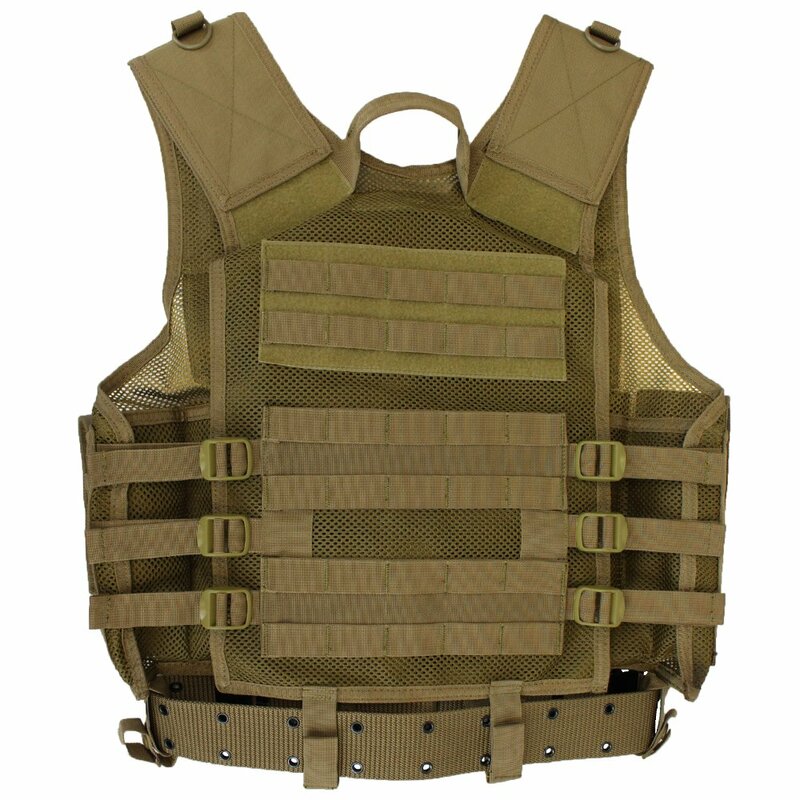 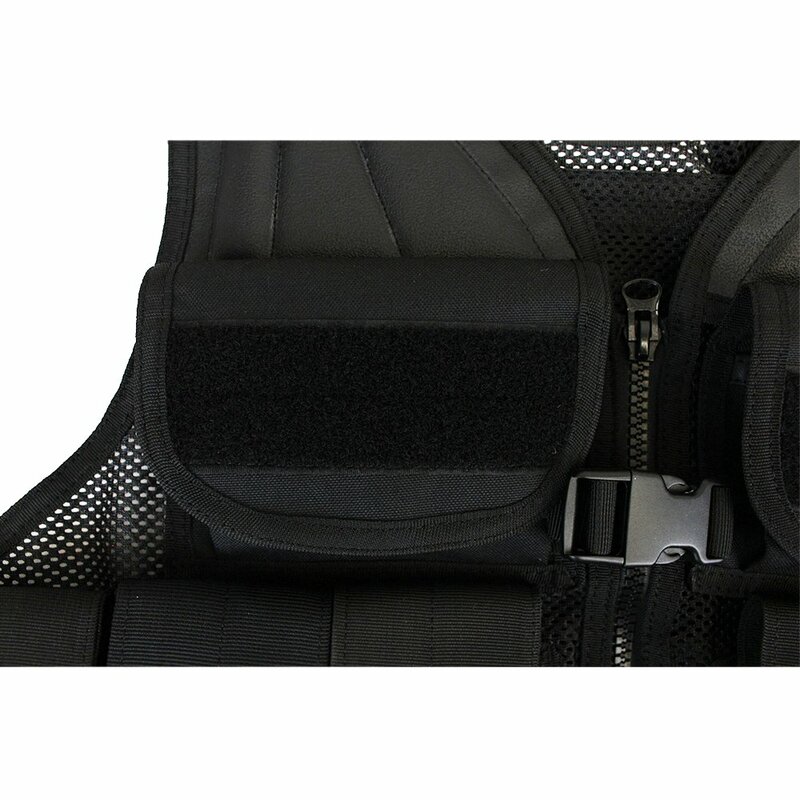 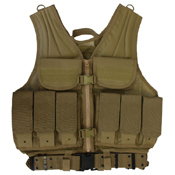 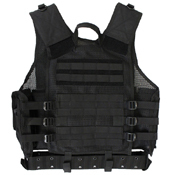 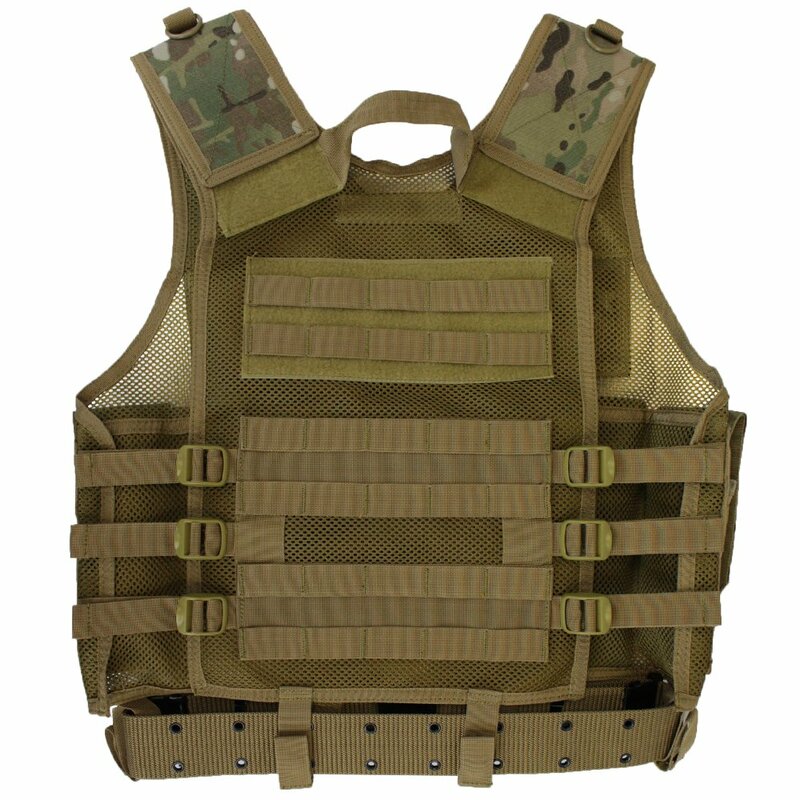 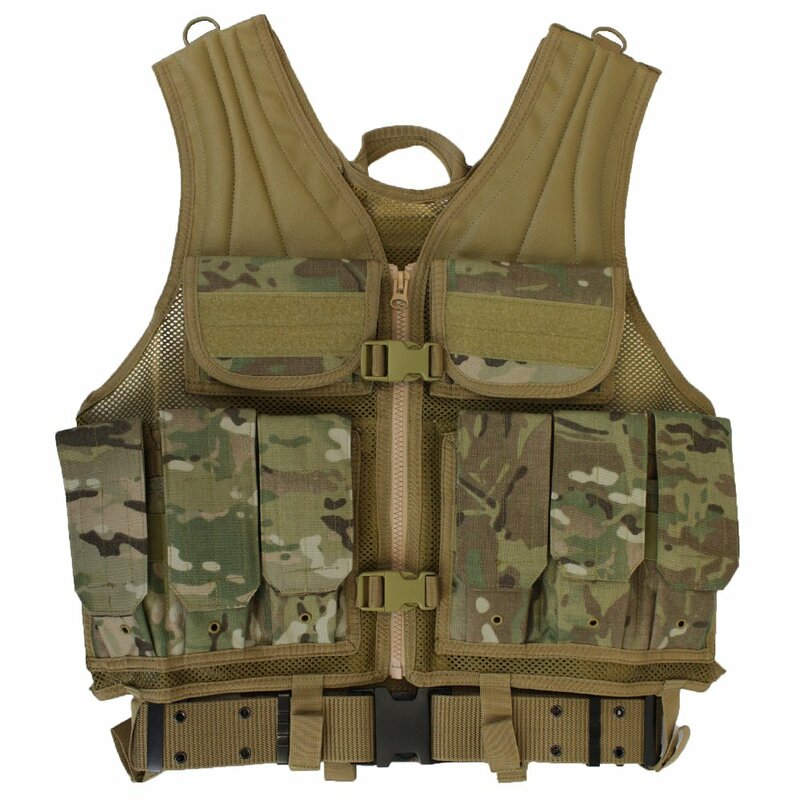 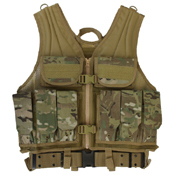 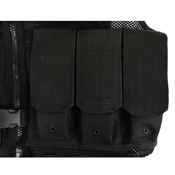 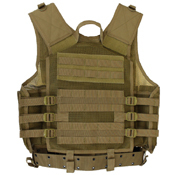 Put some gear on your chest with this Raven X Modular Tactical Vest. The heavy-duty nylon construction is tightly fastened with burly zippers, buckles, hook and loop panels, and compression straps. 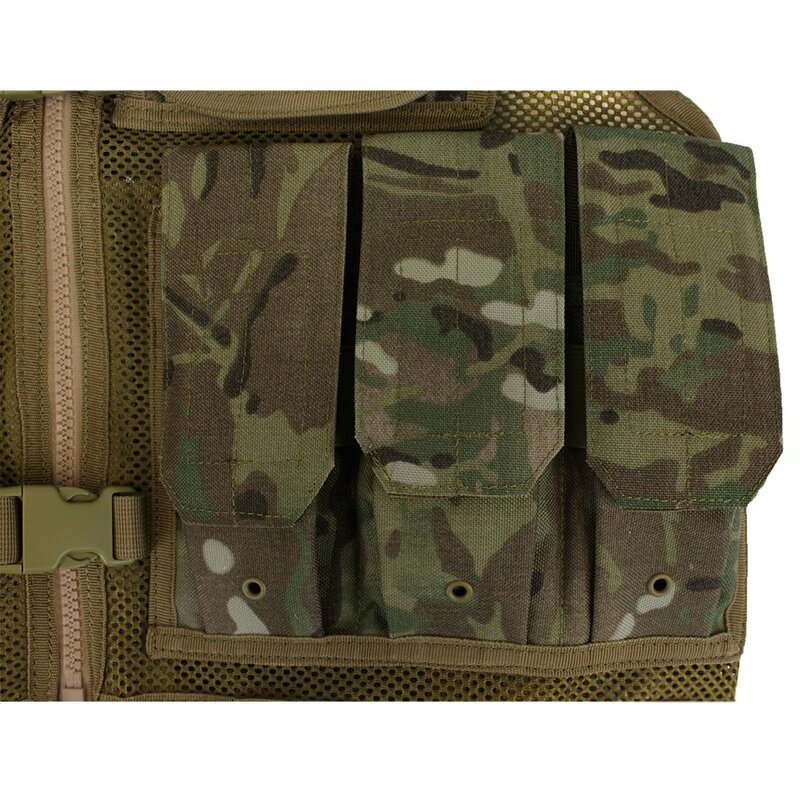 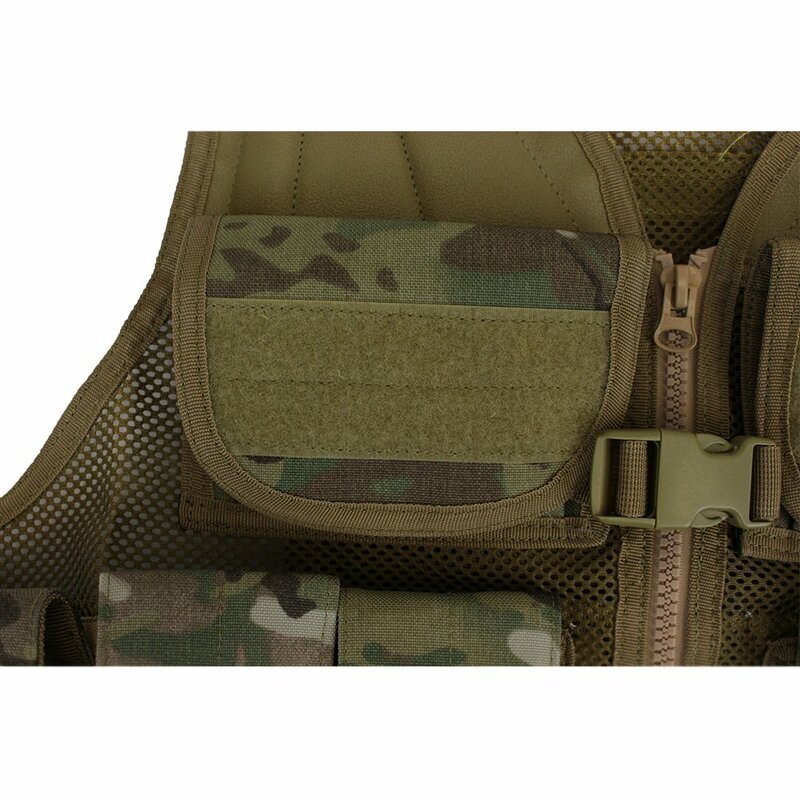 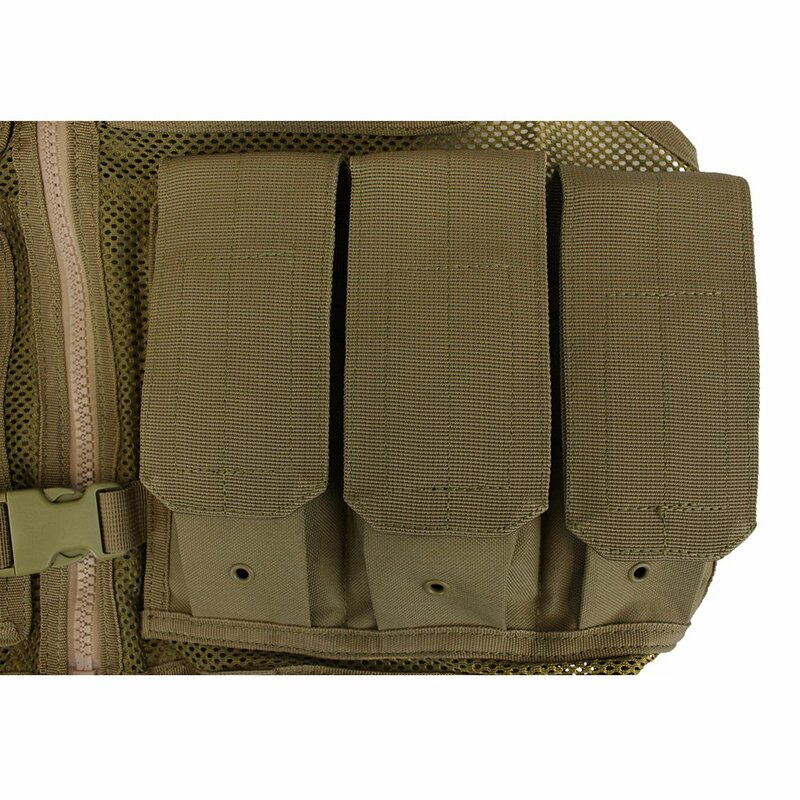 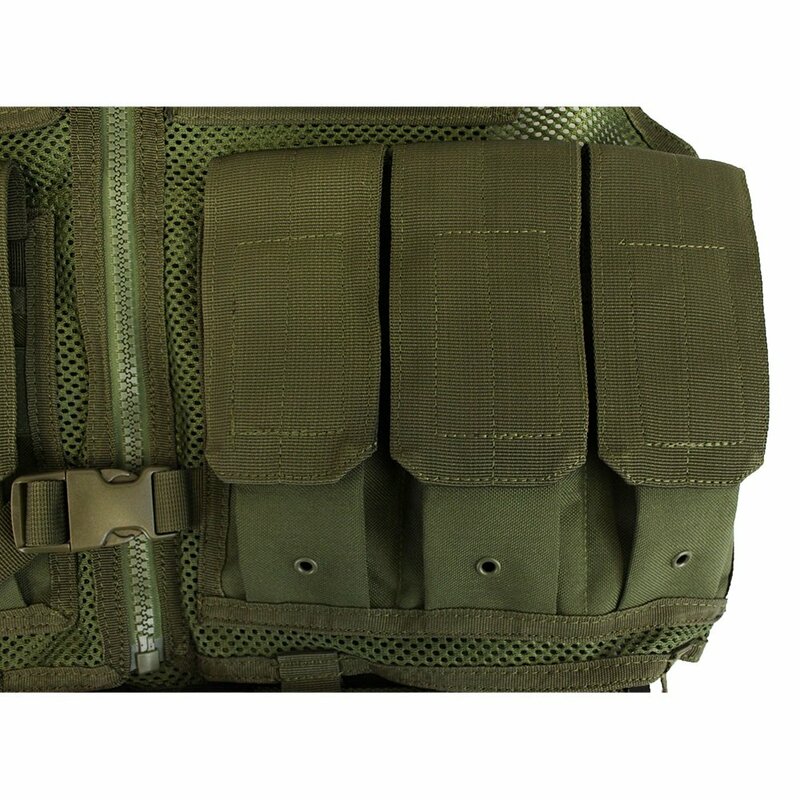 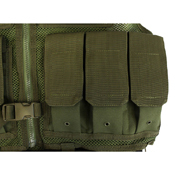 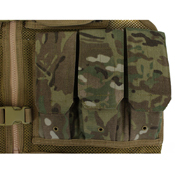 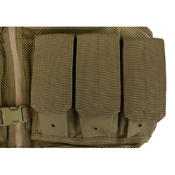 A total of 6 M4 mag pouches, 2 utility pouches, 2 inner document pockets, and a hydration bladder compartment can pack enough equipment for any mission. Adjustable size fits up to a 44-inch chest. 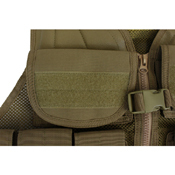 D-rings are small, free-swinging hoops often found on the shoulder straps of tactical bags and vests. 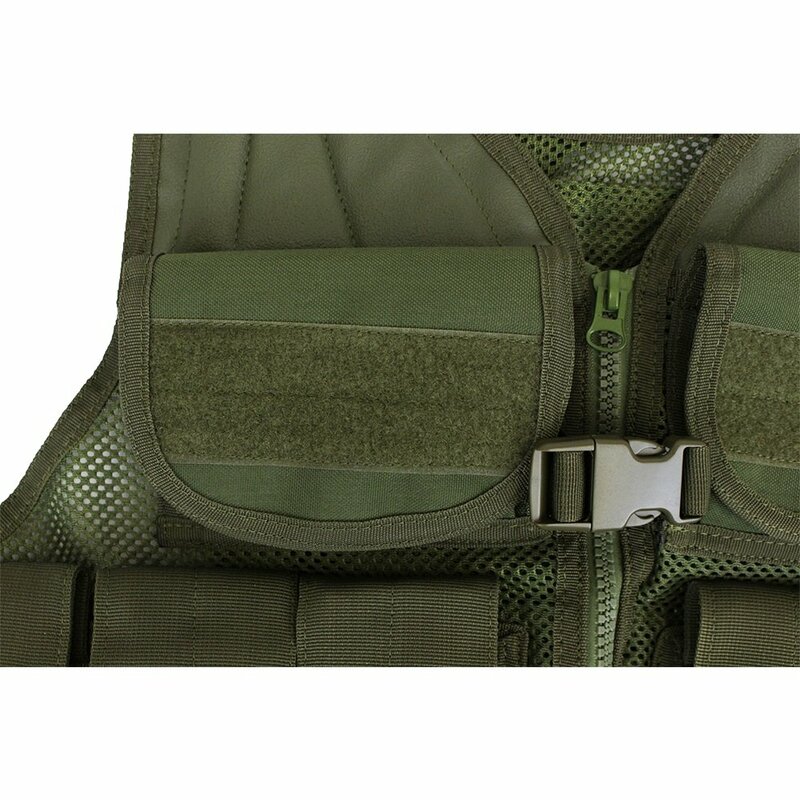 They are constructed of plastic or metal and can be used as a lashing point for tying or clipping on additional equipment.